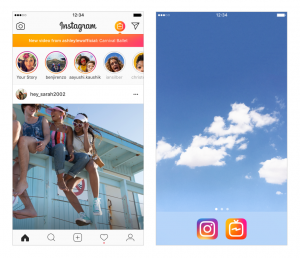 Instagram revealed its new vertical video viewing feature, IGTV, last month and is touting it as a fresh, simple way to view video on Instagram. However, several problems could limit its appeal. Instagram, the Facebook-owned social media giant, has been utilizing video for quite some time. However, the release of Instagram Television, aka IGTV, is different in several important ways. Perhaps the simplest difference is the length of the videos. Instagram limits videos to 60 seconds. IGTV allows content creators to upload videos up to 60 minutes long. According to Instagram’s blog, the feature is “built for how you actually use your phone.” The videos are vertically oriented and fill the entire smartphone screen. The process of discovery is also made simple. IGTV selects content from people you follow and others you might like and automatically starts playing them when you open the app. The approach feels like traditional TV. In this case, the TV is your phone, the channels are creators, and flipping channels only requires a swipe of your finger. With Facebook’s struggling ‘Watch’ tab, only Facebook partners can gain access. Not so with IGTV. Anyone with an Instagram account can be a creator. One of the more interesting sides to IGTV is that it is kept separate from Instagram. For example, a user learns about new videos with an IGTV notification, not an Instagram notification. As well, the icons used are entirely different. Keeping it separate might be to allow expansion of the platform without overloading the current one. However, the approach creates problems for users because they must flip between the two. IGTV has other, more serious, problems. It’s no secret that Instagram has grown tremendously since 2010. More than 1 billion users are using the social platform, making it perhaps the best billion dollars Facebook has ever spent. Unfortunately for IGTV, there are many hurdles for it to overcome. The first hurdle is the vertical video format. While it is convenient for recording from your mobile phone, the format has had trouble being taken seriously. Vertical format video festivals have been around since 2014. 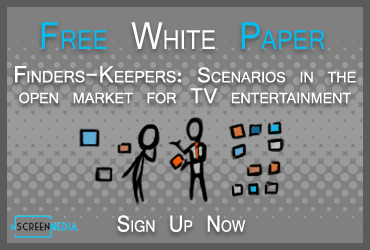 However, the perception persists that the format is only good for casual creators and consumers. Snapchat is the perfect example of this, using its full screen vertical format for casual viewing. The most widely viewed form of mobile video is short clips in a square format to allow for engagement buttons. Ironically, the format is used widely by Instagram. IGTV does provide options for engagement, but since the video occupies the entire screen, they are harder to find. Another problem with the vertical format is that it makes it hard for creators to post the same video on multiple sites. YouTubers have been looking for an alternative platform for a long time. IGTV seems like it could be a great fit. Unfortunately, the vertical format makes it difficult, and often nearly impossible, to convert much of their existing content for release on IGTV. Many will have to shoot two separate videos to make their content available on both. IGTV also must compete with Instagram viewing. Stories and posts that involve video are so commonplace on Instagram it’s difficult to see how IGTV fits in. The two platforms have many of the same features and functionality. Is there enough incentive to get people to move over to IGTV? With so many challenges, does this mean IGTV is doomed to fail? A best-scenario for IGTV could be that it becomes a ‘new YouTube.’ Since there are no restrictions on who can create content we could see an explosion of new videos. YouTube has taken this threat seriously and has reportedly handed out six-figure checks to its top creators to ensure they don’t defect. The strategy has worked in the past. Back in 2014, YouTube was able to convince its top creators to stay put when the now-defunct Vessel tried to poach top YouTube stars with multi-million dollar guarantees. YouTube may be successful in keeping its stars off IGTV. However, influencers established on Instagram and YouTube, such as Lewis Howes, will be anxious to start using the tool and won’t be enticed by checks from YouTube. Will these influencers get more success on IGTV than their current Instagram platform? Only time will tell if IGTV will be successful. However, it appears that like ‘Watch,’ Facebook has opted for a good-looking platform without paying attention to the overall user and creator experience.